Fertaliser for Sandy Soil - What is the Best for Perth? Fertilisers are made up of a combination of nutrients from either organic or nonorganic sources. These are added to your soil, either in the garden or pots to improve the health and growth of your plants. It is especially important for Perth gardeners to be using the right fertilisers as it is common for our Western Australia soils to be nutrient-deficient and infertile. Fertiliser used to be mainly from organic materials such as manure, wood ash or blood and bone, but now they are also carefully created for various, more specific needs of plants – such as an Orchid mix, or seedling potting mix, etc. What causes deficiencies in the soil? Soil low in organic matter – green wastes are removed by pruning, picking etc. Note: Fertiliser is to help with healthy plant growth – it doesn’t improve the actual condition of the soil. That is done by using organic matters like mulch, manure or soil improvers etc. What types of Fertilisers are available? Powder – finely ground; like sulphur dust. Note: Controlled release fertilisers are always more sustainable as they will be slowly released to the plants to give them time to absorb the nutrients and won’t be wasted by washing away or leaching into the groundwater. When applying by hand in your garden beds, remove all weeds, loosen the soil and spread an even dressing over the soils surface – see instructions for exact application rate. Then lightly turn the soil to cover or add mulch. TIPS – Make sure you don’t leave any fertiliser on the leaves of the plant and water thoroughly. This keeps the fertiliser from damaging plants if the soil is allowed to dry, then suddenly becomes wet through rain or reticulation. If using a spreader for lawn areas, apply fertiliser to half the area, then the other half at right angles across the area. Try to apply a little but often during the growing season instead of only a few times but in large quantities. This ensures that it isn’t over-applied and wasted by leaching away into the ground water because the plants can’t absorb it all. Calibrate your spreader by running it over a sheet of plastic and calculating how much has been applied to that square meter. How to figure out application rates? The plant species. Some plants are native to rich soils and will require more attention and nutrients to grow well. For example, annuals like vegetable plants will need readily-available nutrients when in their fast-growth phase. New plants. When planting seedlings, the young plants will require little fertilising but often – so slow-release or liquid feed is important to support healthy root growth and new stems and leaves. Soil type. 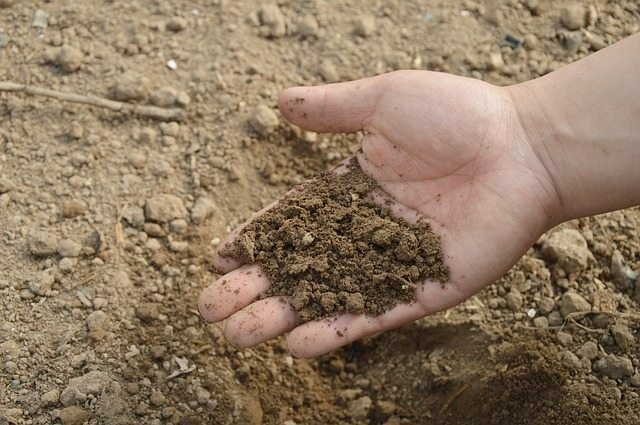 Loam and clay soils are normally much more nutrient rich, but in Perth the clay soils, like in the Hills, are very old and won’t have as much. But those soils will still be able to retain nutrients and the odds of them leaching away are less likely. So those types will need less fertilising than our lovely and nutrient-lacking sandy Perth soils will. Rate of release. Check if your fertiliser is a quick or slow release before applying. Often in high temperatures some types will release the nutrients very quickly then, combined with the increased use of reticulation, the chances of losing those nutrients through run-off and leaching is very high. Improving your soil. Do you add soil improvers and organic matter regularly to your soil? This increases its capacity to hold the nutrients from the fertilisers you will be applying, then you can use less than in un-improved sandy soils. Native or introduced? Our Australian natives are hardy and have evolved to thrive in the poor soils we have here, so adding massive amounts of fertilisers could actually be harmful to them. If you do need to give them a boost, make sure to use a fertiliser that has been created specifically for Aussie native plants. For introduced species that haven’t adapted to our harsher conditions, adding fertiliser when planting or potting and as they grow is the best way to ensure they have the best chance of staying healthy. When to fertilise your garden? This is dependent on the time of the year as well as the growing season of each plant. In Perth, some plants go dormant in winter while some plants go dormant in reaction to the higher temperatures of summer. When applied to dormant plants, fertiliser will simply wash away or leach into groundwater, so it is wasted as well as contaminating water systems. In general, try to fertilise your garden based on the growth phase of your plants, so only apply in winter to winter growing plants, and wait until spring to start applying a controlled-release fertiliser to your lawn and other plants to give them a boost when the soil warms and root growth becomes active. In short – make sure using the correct fertiliser is a regular part of your gardening duties and you will have a gorgeous, healthy garden to enjoy! Have more questions about garden fertilising? Call our friendly gardeners for expert advice or even to hand over the fertilising duties – we can help out year-round for all your gardening needs. Get in touch today!